Butter is the primary reason why baked goods turn out fluffy and nice. Without butter or inadequate addition of butter, they are usually dry and unappetizing. I’m sure we’ve all tasted baked goods like that at one time or the other. Butter is a vital ingredient in baking. However, with butter containing up to 80% fat, it’s not exactly a healthy ingredient. 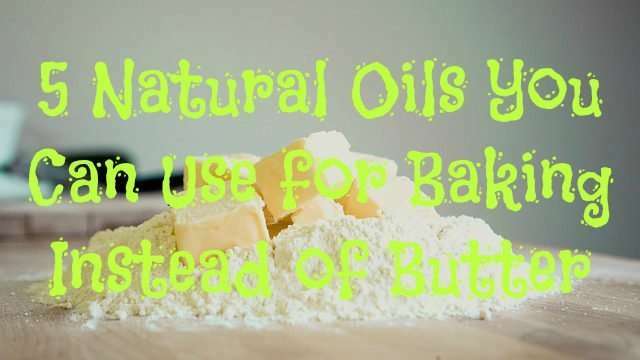 With so many healthy natural oils available on the market now, it’s easy to replace butter with something less fatty and achieve the same results. Most recipes require a lesser quantity of oil than butter. You can use natural oils for an added flavour to your recipes. Natural oils are a great source of heart healthy fats. They are also a great source of omega-3 & omega-6 fatty acids. Omega-3 protects the body against disease and omega-6 helps lower bad cholesterol. They have a high smoking point thereby making them a suitable replacement for butter. Coconut oil is the most used substitute for butter in baking. It is best used melted and at room temperature. It is also perfect for people who are lactose intolerant. When using coconut oil in baking, reduce the portion of butter the recipe calls for by at least 15% as coconut oil goes a much longer way than butter. You can also reduce the sugar slightly if using coconut oil. Baked goods with coconut oil also tend to have a distinct sweet fragrance. 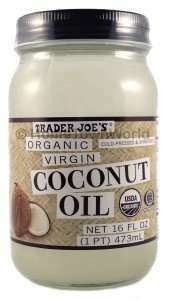 Coconut oil works for cakes, pastries, brownies, bread and cookies. Canola oil is a light neutral tasting oil that makes for a good replacement in recipes that call for vegetable oil. It can also be used in recipes that call for butter. When using canola oil in baking, substitute ¾ cup of canola oil for every cup of butter. You shouldn’t use a straight conversion (cup to cup) as it will affect the consistency of your dough/batter. Olive oil has a stronger flavor than most oils on this list and it’s not something every taste bud would love. To combat this strong flavor, you can use extra light olive oil. Olive oil works best when used for muffins and vegetable breads like pumpkin or zucchini bread. In the mediterranean, olive oil is use for baking biscotti, fruit cakes and olive bread. Substitute olive oil for vegetable oil in equal measure or 3 tablespoons of extra light olive oil for every ¼ cup of melted butter. 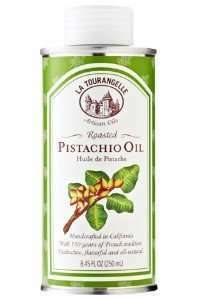 Pistachio oil is a delightful green colour with a strong and distinct flavor. If you want your recipe to have a nutty flavor, pistachio oil is the way to go. You can also add pistachio nuts to cookies, muffins and biscuits. Though more expensive than other oils, it remains one of the best nut oils to use in baking. Pecan oil is extracted from the nut of the pecan tree. 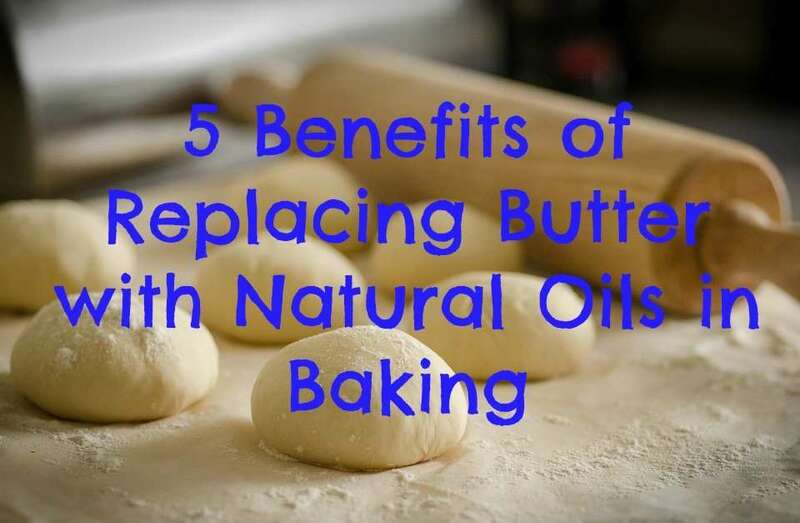 It is a versatile oil and can be used as a replacement for butter in almost any baking recipe. While it’s a nut oil, it’s flavor isn’t overpowering. You can also combine pecan oil with olive oil based on your taste preferences. Pecan oil is available in a roasted version, which has a nuttier flavor. Though there are other natural oils that can be used in baking, the above remain the best 5 recommendations. Feel free to experiment with other oils but make sure they have all the 5 benefits discussed above. Additionally, always purchase cold pressed unprocessed natural oils for use in baking.